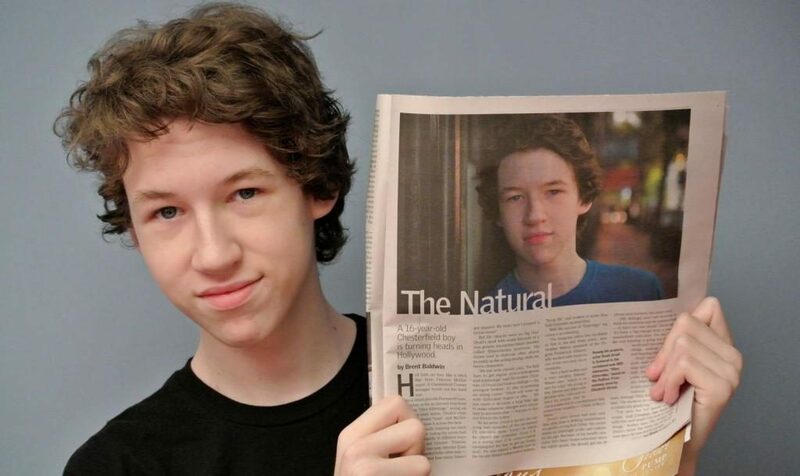 Devin Druid is a young actor who is going places. And fast! Already a veteran of film and television, including roles in HBO’s Olive Kitteridge and Louis CK’s series Louie, Devin appears this year opposite Gabriel Byrne and Jesse Eisenberg in director Joachim Trier’s third film, Louder Than Bombs. Devin is on Twitter and Facebook. He also has a cool website. He was featured in French Vanity Fair as one of ten revelations at the Cannes 2015 Film Festival. We are going to see this young man in lots of projects in the future, no doubt about it. Many thanks to Devin for taking time to talk with us! STELLA: You are a very talented young actor with a promising future who has already accomplished so much. Do you have a master plan for the future? A long-term goal in mind? A big dream for your career? DEVIN DRUID: I wouldn’t say I necessarily have a plan. Like all actors, I guess the real goal is to eventually make this into a career and be able to do this for the rest of my life! And ever since I was a little kid, my one life goal was to be able to make a living doing something I love, so I guess that would be my long term goal. E3 (note from Stella: E3 is an important videogame and entertainment exposition in the USA) was fantastic and I’m super excited for all of the new games coming soon! I’m specifically looking forward to StarWars: Battlefront 3, The Final Fantasy 7 Remake, Fallout 4, Call of Duty: Black Ops 3, Uncharted 4, and OF COURSE, Kingdom Hearts 3! 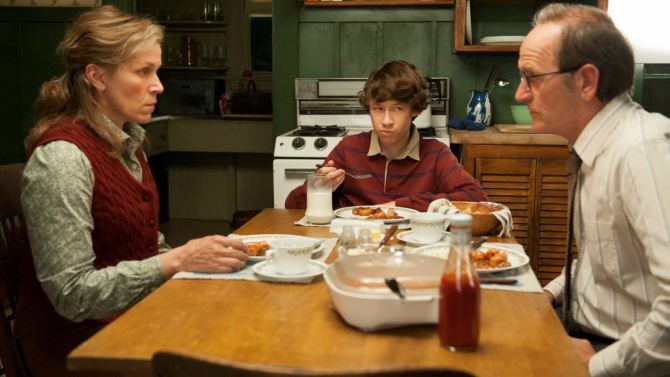 STELLA: In the HBO mini-series Olive Kitteridge, you worked with two of my favorite actors: Frances McDormand and Richard Jenkins, as well as John Gallagher, Jr. (who happens to be starring with Gabriel Byrne on Broadway this spring in Long Day’s Journey Into Night!). 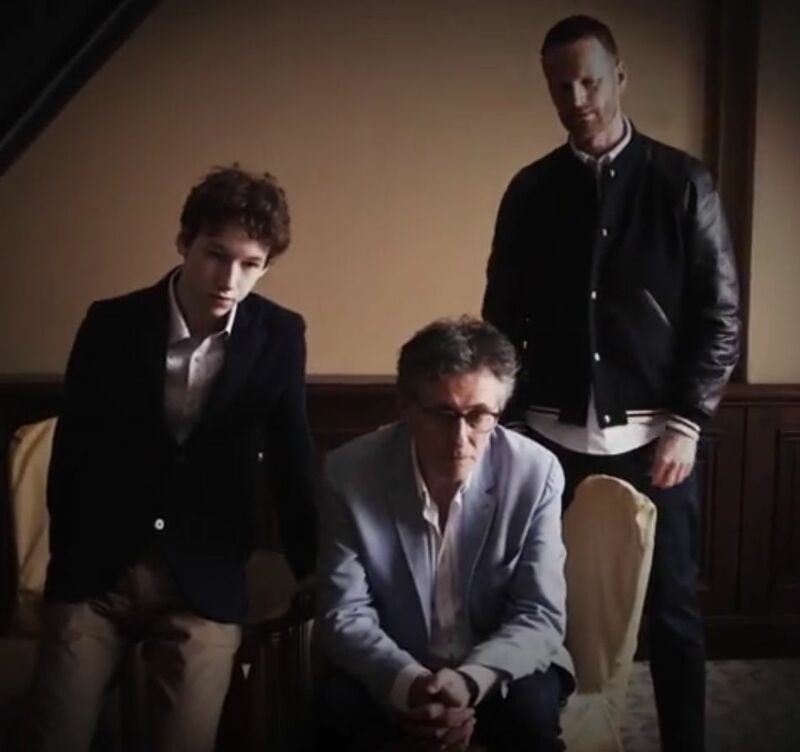 Unfortunately, I have not seen this yet and many Byrneholics have not had a chance to see it (we are an international group of fans from all over the world). Please tell us a bit about it and what your role is in the show. DEVIN DRUID: I play the younger version of Olive and Henry’s son, Christopher. He’s pretty much a smart mouthed brat that’s fighting for his mother’s attention and praise. The older version of my character is then played by John Gallager Jr. who is fantastic! STELLA: Is Louis CK the Man or what!? Give us the scoop on jumping into his show. That must have been exciting! DEVIN DRUID: Louis is incredible! Such a very kind and caring person. The story of my 2 episodes were actual real life events from Louis’ life, so I was a little nervous going into the shoot. I wanted to make sure I played everything as natural as possible since he actually lived it! And he does so much for his show too! Not only does he write and direct, he also produces and edits his episodes as well! It’s crazy! Overall, I met some absolutely incredible people while working on the show, and it really helped to mold me into a better actor and gain a lot more experience. STELLA: In Louder Than Bombs, you worked with some incredible actors: Isabelle Huppert, Jesse Eisenberg, Gabriel Byrne. And you worked with an amazing director: Joachim Trier. Your performance has been noted by several critics as a special achievement in the film. What was this high-powered experience like? Intense? Challenging? Scary? Everyone is so excited to see this film! DEVIN DRUID: Louder Than Bombs was fantastic. I’m always a little nervous stepping into a project with such incredibly talented people on board. Will I be able to hold up? Will they look down on me? Will I screw up? It’s always a little shaky for me first going into it, but I have been so fortunate to have had such incredible people around me that are so kind and supportive. After the first day, it’s almost like we’ve been working for weeks! There were definitely some intense moments. I really like to fall into my character and really become who they are, so I truly feel some of these more emotional scenes. But like I said, I have had so much support and that’s all I could really ask for. STELLA: Byrneholics need to know: What was your experience working with Mr. Byrne? In one of the teaser trailers, you have a very emotional scene with him. How did you two work that out? DEVIN DRUID: He is absolutely fantastic. I remember my first day on set, we actually had a scene with a fake baby, so when we were let off for a short break, he brought me aside and conjured up a prank where he had someone video tape us throwing and dropping the baby on his phone. That’s gotta be one of my favorite memories of working on any project! He still texts me to see how everyone’s doing every once in awhile! He’s someone I consider a very close friend and a mentor as well. He’s helped me out quite a bit! Ah, yes, the plastic bag scene. Luckily for us, our incredible director, Joachim, had some time before the shoot to rehearse how we were going to setup certain scenes, and that scene was one of them. It was a very emotional scene for both us, but I think it came out great and as an actor, you have to learn to separate yourself from those moments when the camera stops rolling. STELLA: At the Cannes Film Festival, during the Press Conference, you gave a big shout-out to your mother and called her “Super Mom.” Can you say more? How does your mother support your dedication to your craft? DEVIN DRUID: My mom does everything for me. Seriously. She’s constantly reminding me about emails, printing sides, rehearsing scripts, ironing audition shirts, planning hotels, packing clothes, setting alarms. The list could go on and on and on. There’s not many people that I believe would drop everything in their life, give up everything for something that may or may not come to fruition for their kid. But she did that, and I cannot thank her enough. STELLA: Continuing with Cannes: At the festival, you were so polished and professional. You also seemed to be enjoying all of the proceedings: photo call, press conference, the Red Carpet. This was your first big festival, yes? Was it everything you expected it would be? Did anything happen that really surprised you? 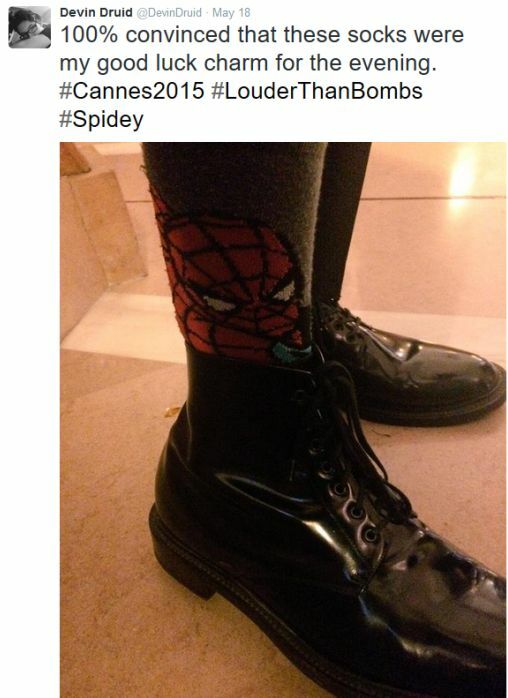 And tell us about the socks you wore on the Red Carpet! STELLA: You have been involved in other projects in addition to those I have mentioned. Can you share with us which one stands out for you or is the most memorable? DEVIN DRUID: Louder Than Bombs has to be the most memorable as of right now. There were just so many great moments I experienced and so many incredible people I met. And my journey for that film still isn’t over just yet! STELLA: You are working on a new film based on Shakespeare’s Macbeth! Is it too early to say anything about it? Some actors shy away from “the Bard.” How are you finding it? DEVIN DRUID: Yeah! I worked a little bit on small, modern day version of Macbeth with Angus MacFadyen. I don’t wanna say too much about it, but there was a lot of blood and it was FREEZING COLD while working. bigsmile It was an enjoyable shoot and I’m glad I got to work on it! talented young man and I am really looking forward to see him working with Gabriel Byrne in Louder Than Bombs. Hope many people will read this great interview. It deserves that. Thanks, Nora. I am glad you enjoyed the interview. It was a fun project! Wow that is awesome Stella! Great interview. Please, thank Devin for this interview. I did see Olive K. And he was awesome in it! I’m really looking forward to Louder Than Bombs. All the best for the future, Devin! I am so glad you have seen Olive Kitteridge, Ara! I have not yet, but it is on my list now. Devin is a very intelligent young fellow. I don’t think this film has made it to the U.S. but eventually it will. It looks very interesting I don’t always buy into any negative comments from the critics as there were some but I like the family-oriented drama in it. Thank you for a wonderful interview. Michelle, thanks for visiting! I am glad you enjoyed the interview. You are correct. Louder Than Bombs is on the festival circuit at this time, screening in Toronto and Norway over the next few weeks. The film will premiere in Norway theaters in October. No word on the US release yet, but the film will be in shown in 92 countries eventually, so we should all be able to see it soon! Thank you , Stella for this interview! Really great work and pleasure for reading! I like Devin’s comment that his journey into this film still isn’t finished! I’m sure we’ll have the same feelings for a very long time after watching it. So nice words he said about his work together with Mr.Byrne! Yes, Violetta, Devin’s journey in real life continues with this film: he may attend the screening at the Toronto International Film Festival! Cannot wait to see this film. Lots of good reactions are coming from the Melbourne International Film Festival now.